In IIS 10.0, we introduced the IISAdministration PowerShell module which was a new way to manage IIS. This module included numerous improvements over the existing WebAdministration cmdlets. Unfortunately, folks who hadn’t updated to Windows Server 2016 weren’t able to take advantage of the new management cmdlets until now. I’m pleased to announce that we’ve now released this module to the PowerShell Gallery and is available for use on Windows Server 2012 and above. The easiest way to install IISAdministration is using the PowerShellGet module. You can easily verify if you have the PowerShellGet module installed by running Get-Module -Name PowerShellGet in a PowerShell prompt. If you don’t already have PowerShellGet you can follow the docs here to get started. Once you’ve verified you have the PowerShellGet module, open an administrative PowerShell prompt and run Install-Module –Name IISAdministration. At this point, you should be able to Import-Module IISAdministration and start using it. If you are unsure on what can be done with IISAdministration, I’d recommend taking a look at Jeong Hwan’s earlier blog post. The version of IISAdministration module is 1.1.0.0 and contains some enhancements over the version that has shipped in the box (1.0.0.0) in Windows 10/Windows Server 2016. We’ve introduced three new cmdlets: Get-IISSiteBinding, New-IISSiteBinding, and Remove-IISSiteBinding. We’ve also updated the New-IISSite cmdlet to allow you specify a HTTPS binding at site creation. Detailed help and examples for the cmdlets is accessible using the Get-Help cmdlet. For example, you can try running, Get-Help Get-IISSite –Full. 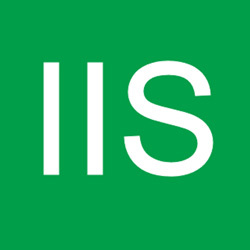 We’d love to hear your feedback on your experience using IISAdministration from PowerShell Gallery. Give it a spin and let us know what you think! Well, i must say, this is the great update so far, now we can easily verify if we have the PowerShellGet module installed by running Get-Module -Name PowerShellGet in a PowerShell prompt. Thanks! 2. The module seems be here https://docs.microsoft.com/en-us/powershell/gallery/installing-psget. 3. On server 2012, it appears that we should first install this package 'PackageManagement MSI' from here https://www.microsoft.com/download/details.aspx?id=51451. The title : "PackageManagement PowerShell Modules Preview - March 2016". 4. And after we can follow the instruction in the page : See 2. Above.